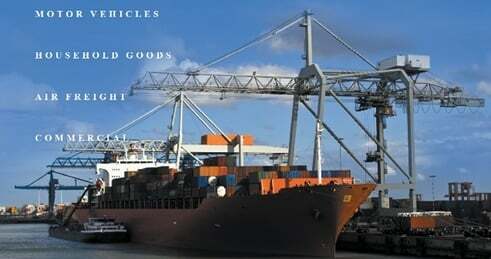 The Netherlands is one of the most accessible and busiest European countries for international shipping services. Europe’s biggest port is located in Rotterdam and two of the top ten ports in Europe are located in the small country. This makes the Netherlands a major shipping destination in the region not just for those relocating to the area but also for those transporting goods to other European destinations. For example, if you are going to be shipping a vehicle to Poland with our consolidated container service, you may have a quicker arrival date by shipping through Rotterdam or Amsterdam because our ocean freight services run more frequently to these ports. We’ve gained extensive experience helping individuals and families transport property to Holland. So if you need your items moved here, whether it’s by air, sea or a combination of both, we can move almost anything. Our shipping services to Holland serve the following cities as well as multiple other destinations, so don’t worry if your city is missing. The two main international shipping services we offer to Holland are for household goods and cars, as they are the most common. If you enjoy riding motorcycles, we can also ship your Harley, Indian or classic motorcycle. For others, a day out on the water is more appealing and the Netherlands has some amazing waterways. We can ship your boat to Amsterdam just as easily. A few of our other services include pet transportation, oversized items, special commodities and classic cars. If you are looking to ship something other than what’s listed, chances are we can still do it. The Netherlands is one of the top 5 exporters in the World. The flight from Los Angeles to Amsterdam takes around 11h30m.